The 20-meter-wide meteor, which streaked across the sky and exploded into small pieces on Feb. 15, smashing windows, damaging buildings and damaging residents’ eyesight, could have caused much more damage if it had been more solid, three studies published in US journals Nature and Science on Wednesday found. After studying the area around the explosion and a wealth of video and other evidence over the last few months, NASA scientist Paul Chodas said the meteor blast showed that there were about 20 million space rocks whizzing around the solar system that could do serious damage to Earth – not the 3 million previously thought. 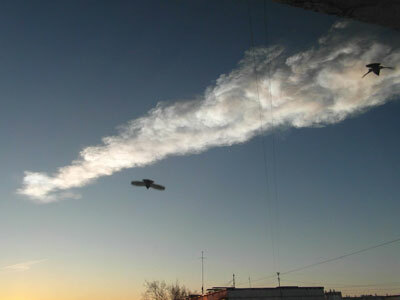 That’s because it was considered that meteors had to be 30 meters and wider to cause huge devastation, but Chelyabinsk was actually a nearer miss than it seemed at the time, the scientists said. Hundreds of videos recorded by car dashboard cameras were analyzed, which helped a great deal to verify the exact trajectory, speed and the energy of the meteor explosion that shattered windows in more than 3,600 apartment blocks, broke in doors and gates, in some cases collapsing roofs and knocking many pedestrians off their feet. 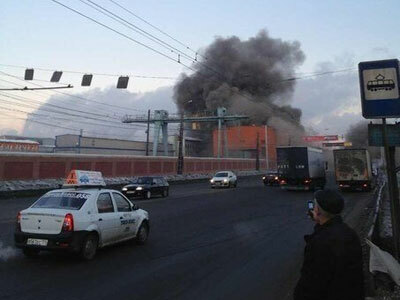 Over 1,200 people in the Chelyabinsk region were hospitalized that day because of the nuclear-like explosion. According to the data now available, the Chelyabinsk meteor was traveling at a speed of 19 kilometers per second (68,400 kilometers an hour), was about a little bit less than 20 meters in diameter and weighed about 13,000 tons. Most of it burned up in the atmosphere and the huge emission of energy at the moment of the explosion, with no more than 0.05 percent (4-6 tons) of the debris of the space object reaching the surface of the planet. Two groups of scientists published their studies in Nature, one led by Jirí Borovicka, of the Czech Academy of Sciences, the second led by Peter Brown, at the University of Western Ontario. 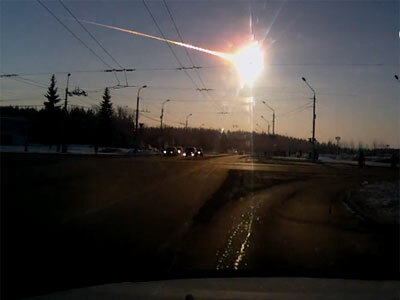 Both calculated that the Chelyabinsk meteor explosion was equivalent to about 500 kilotons of TNT. It has also been established that it is highly probable that the Chelyabinsk meteor was previously a part of a bigger space rock, two kilometers in diameters – an asteroid identified as (86039) 1999 NC43 that will pass several millions kilometers away from Earth in March 2014. Brown’s group estimated the peak brightness of the explosion as 30 times brighter than the sun, which led to many, sometimes severe, cases of skin burns and eye retinas being damaged, as an estimated 70 people temporarily lost their sight because of the bright explosion. The scientists also concluded that the existing models of atmosphere meteor explosions, based on nuclear warhead test data, were not correct, leading scientists to increase the estimated number of space rocks dangerous for Earth flying around the sun. NASA previously considered meteorites dangerous if they were more than 30 meters in diameter on impact with Earth. After the Chelyabinsk 20-meter meteor exploded with a force of 40 Hiroshima atomic bombs, it became evident that instead of an estimated 3 million potentially dangerous objects in the solar system, scientists should keep tabs on 20 million asteroids. And while such events were expected to occur only once every 150 years, now 30 years looks more likely to be the frequency of such catastrophes. The research was based on the work of an international team of 59 researchers from nine countries, led by Olga Popova of the Russian Academy of Sciences. They collected data from multiple sources, including data from a world net of subsonic sonars used by inspectors of the Comprehensive Nuclear-Test-Ban Treaty and the US military satellites monitoring missile launches and tests, Gazeta.ru reported. The scientists calculated the kinetic power of the meteor more accurately at 590 kilotons, nearly twice the power of a W87 American 300-kiloton thermonuclear warhead. 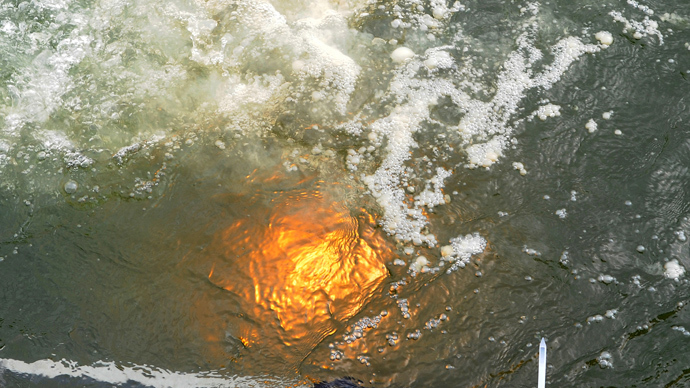 The group conducted research in the impact zone and modeled of the meteor explosion’s shock wave, which coincided. 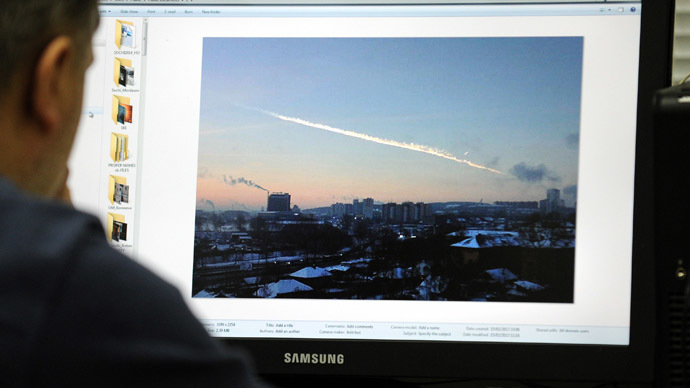 The scientists visited 50 villages around Chelyabinsk within weeks after the event, mapping the meteor’s destructive consequences. They found out that the impact zone spread out as wide as 90 kilometers, resembling a butterfly, making it similar to the impact zone of another famous meteorite explosion, the Tunguska meteor that struck on June 30, 1908 above the Siberian taiga. The Tunguska meteor (a small comet) was up to 150 meters in diameter and the estimated explosion that happened about 10 kilometers above the surface was estimated of up to 30 megatons of TNT equivalent, 100 times more powerful than the Chelyabinsk meteor. 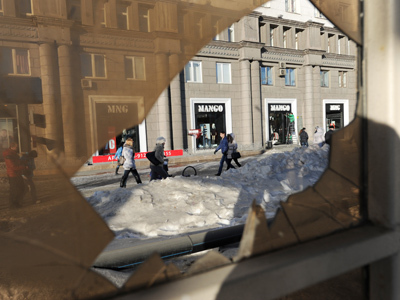 Popova’s group collected answer to over 1,700 questionnaires of eyewitnesses to the Chelyabinsk phenomenon. 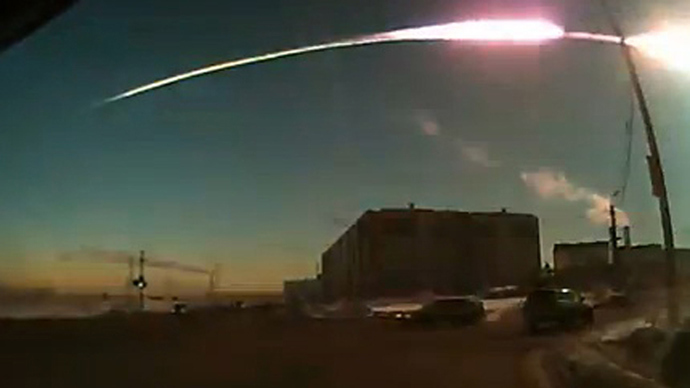 People said they could see traces of the meteor from as far away as 700 kilometers. 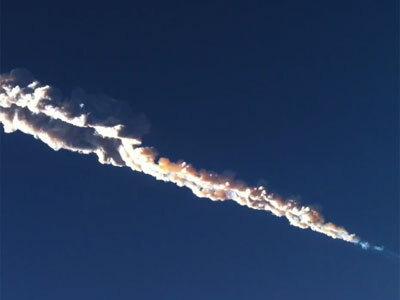 Popova said the Chelyabinsk meteor was a “standard” LL-type chondrite, with a relatively small quantity of iron in it. But it is still magnetic, and it can be easily detected by a mine detector and rusts when it comes into contact with water, Popova said. 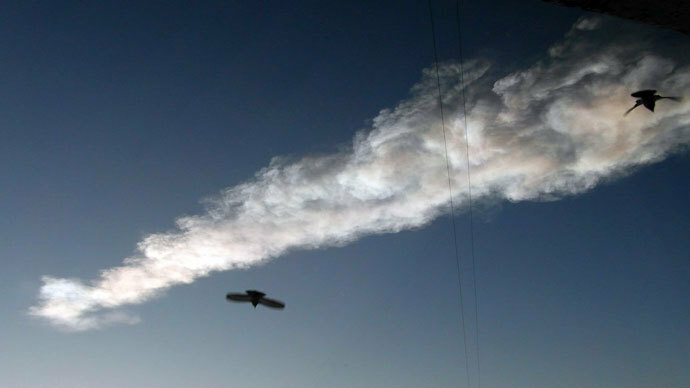 As a rule meteors lose about 90 percent of their mass while they travel through Earth’s atmosphere, but the one that exploded over Chelyabinsk practically disappeared, Popova said. 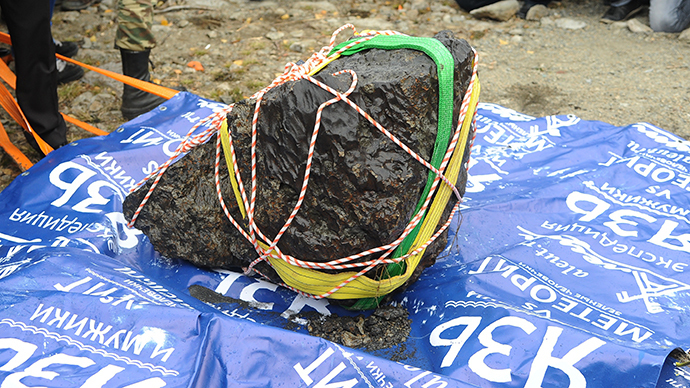 The largest peace of space rock retrieved from Lake Chebarkul in October weighs 570 kilograms, compared to the meteor’s originally estimated 18,000 tons. “That’s why we still don’t know what destructive forces space bodies are exposed to when they enter the atmosphere,” Olga Popova told Gazeta.ru.